"For this mission and ministry, to which the promises of God are given, the corporate church is made responsible; and is, therefore, entitled to sufficient material support from its members. This stewardship of means, as well as devotion of life, is incumbent upon faithful members of the church." From KIT 319. United Presbyterian Church in the U.S.A. The Teaching and practice of Christian stewardship, 1960s. Circular letters, fairs, bazaars, gambling, kisses for sale, bachelorette auctions, wills and bequests, pew rents and the tithe, gifts of livestock—American Presbyterians have used every method known to raise funds for the maintenance of pastors and the promotion of missions. The story of Presbyterian fundraising involves every aspect of the church, from foreign missions, to women’s rights, to doctrinal and cultural conflict. 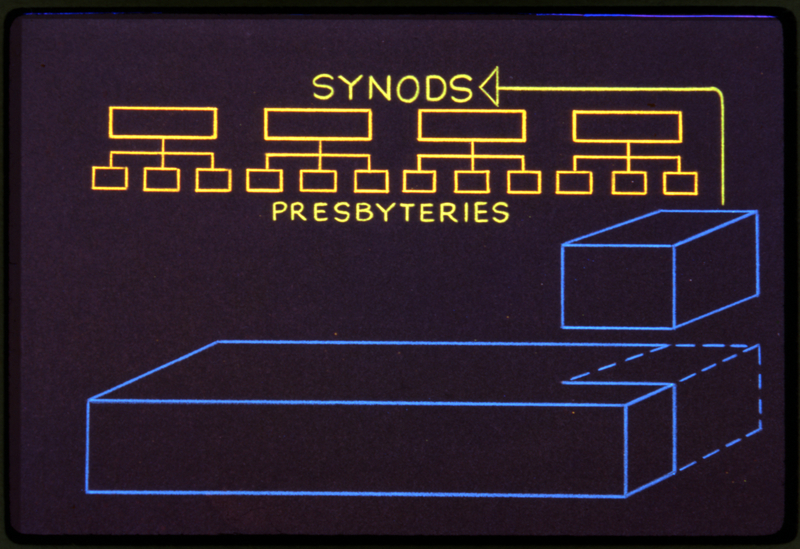 "Synods and presbyteries should understand themselves as part of a total national church, contributing responsibly to the church as a whole." From KIT 319. Herman Weber, writing for the United Stewardship Council, echoes Paulsen’s radicalism, cautioning congregations against creeping commercialism and superficial piety. Congregations which fundraise through, “’painless’ methods of giving (such as bazaars, card parties, entertainments, and the like),”7 miss the mark. Giving transforms the giver, and transforms social relations. From the establishment of free churches, to the radicalism of the New Deal, to contemporary arguments regarding investment in Palestine, Presbyterians have carried on an arms-length discourse with the world of commerce, and they continue to balance the material needs of mission with their duty to create communion. 6. Paulsen, Irwin. The Christian use of money. Philadelphia : Westminster Press, 1937. p.23, 37.